Mind-Builders Creative Arts Center is home to an exceptional African Arts permanent collection that includes rare pieces of works from central and western Africa. 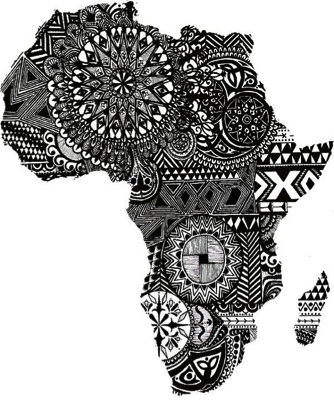 In relation to the African Diaspora, students will learn how these rare art forms connect to their role in community and be assigned to pieces that are aligned with their interests in the arts. This program will allow students ages 14-21 to research, document and prepare presentations of the permanent African Arts collection through guided docent tours. Interns will create a visual analysis of the artwork from a curatorial lens, learn how to critically research, site reputable sources and strengthen public speaking and presentation skills. The program will culminate in African Art Tours and artist workshops. Interns will receive a $200 stipend upon completion of the program and $20 for each guided tour moving forward. Interns will not only work with rare pieces of genuine African art from Central and Western Africa, they will also learn the history and influence these cultures have across the globe. Training begins in early July and ends mid-September on the date of the Open House Annual Street Festival. Unlike other programs, certified African Art docents will be able to give tours all year round and receive a stipend for each guided tour. The program ends with an Awards Ceremony and the main culminating event are the community tours for the Annual Open House Street Festival. This program not only teaches African cultural literacy, interns will also strengthen their public speaking, research, and critical thinking skills.